In this part, I'm going to resume the first part. 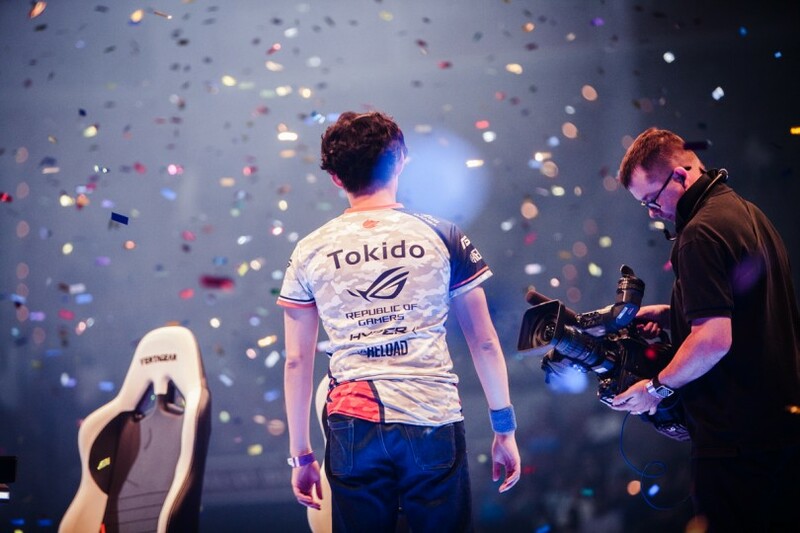 I got so hype for Tokido's winning at Evo 2017 that I wrote up the first part on the spur of the moment, but... reading that again after a month, I was really embarrassed hehe. On top of that, the topic of the latter part is not about the past, but just recent, so I'm even more embarrased. But I'm going to write it up with full force for those who have been looking forward to it. 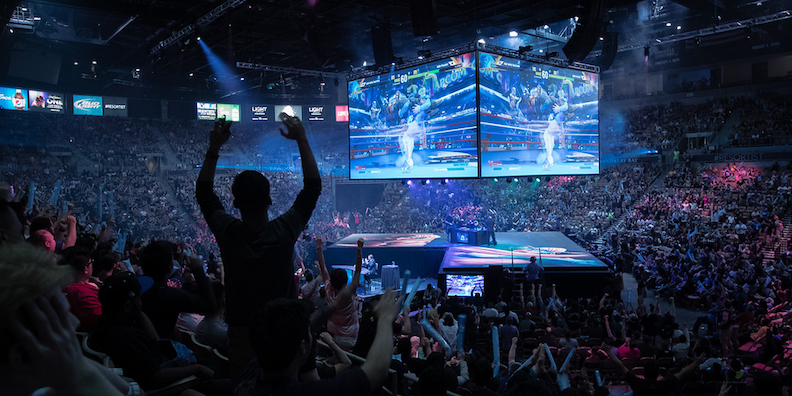 In the summer of 2017 in Las Vegas, Nevada, U.S.A., Evo 2017 was held. Although it's the world biggest tournament, there's no qualifiers held around the world over time. The most attractive point of Evo is that everyone can attend to it and has chance to grab the dream as long as he or she has applied for participation in advance. If you make it to Top 8 out of thousands of attendees, you can stand on the stage of the final day. Evo is, of course, streamed online, and this year's max concurrent viewership online on the final day was, surprisingly, 300,000 viewers! Aside from it, that was aired live on cable in U.S.A. this year and the last year. So the total viewership was maybe millions of viewers. Evo gets such great international attention that it's significant for pro gamers as well as those who want to be a pro gamer. Especially, Street Fighter V, where the most players competed, drew the largest attention. In SFV at Evo 2016, the winner was Infiltration from Korea, who dominated and was considered the strongest player in the world. And in this year's SFV, there was also a player who was considered the strongest player in the world. Furthermore, he was a completely new face in the SF community. He was only 19 year old, but absolutely the real deal. He is not only good at guess and reactions that young players tend to be good at, but also has first-class skills and mental strength. In my arrogant oppinion, he's a genius that could be seen only once a decade. I can make such an assertion because he has won the 1st and 2nd places in this season's tournaments at an exceptionally high rate. He dominated most of the matches, and in the closer matches he eventually won as showing his strength. Because of that, he deserves the alias "monster." And he showed the same strength on the world's biggest stage of Evo. He went up by beating other players overwhelmingly even though it was a very hard tournament. Compared to him, I got the shameful result: I was eliminated on the first day. Coincidently, Punk and I use the same character, Karin. And I was losing my confidence after Punk made a rise to prominence, maybe because he played as the same character. Punk getting inordinate great results, and me getting nothing. The way I was walking on shouldn't be wrong, I thought so... But could any player beat him with anti-Karin strategies built by experience playing with me? And, could I be stronger than him if I continued walking on this way? A man with such anxiety and conflict can't be confident. Maybe because of that, I felt strongly for my fellow players. "Any of my fellow players should beat Punk... "
Looking back, maybe I wanted to be rewarded. Maybe I, kind of stuck in a slump, was looking for something that made me believe that my effort was meaningful, even though it was not the result of mine. And that was about to be a reality. Tokido faced Punk at the winners quarter-final. But, Punk won by 2-0 to Tokido. Punk was no less strong. Even Tokido wasn't able to beat him... ? I think quite a few viewers felt so. I regularly practiced and practice with Tokido. Punk was strong for sure. He was the absolute strongest player, but that looked hard-won. Actually, he looked relieved after the match, so I think I was probably correct. But, Evo is tournament where strong players gather from around the world. It was probable for him to advance the losers side and play Punk again, but it was not easy. There were only the world's top players remained. He won one fierce match after another, then finally faced Punk again at the grand final. The process to the grand final made it seem as if Evo 2017 was a tale. The fact that Punk didn't drop even one game all the way to the grand final. The fact that Justin Wong tweeted he thought the only player who were able to win this monster at that time was Tokido. The fact that Tokido managed to reach the grand final against Punk, walking on the edge of death. I think these facts made every viewer expect a miracle. The comebacks against the strong players in the losers side. And Tokido overwhelming the monster with the strategy built by practicing with me. All those things stimulated my heart. 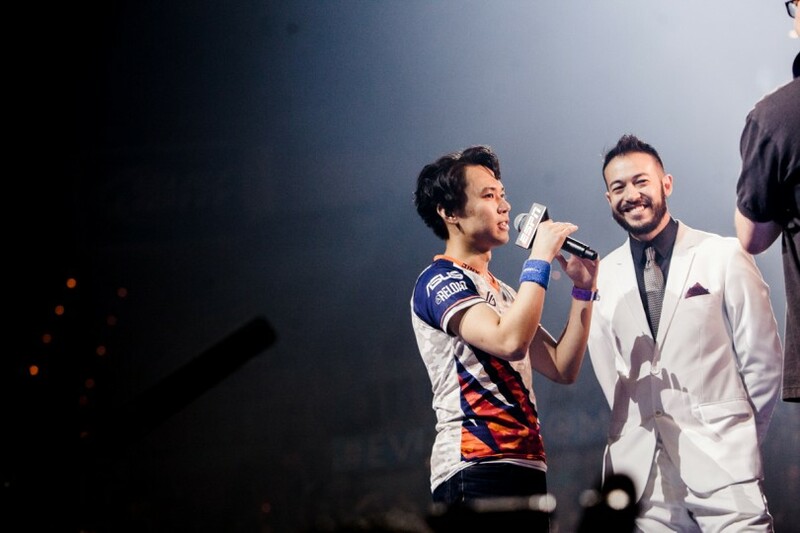 And, Tokido was interviewed on the stage after the grand final. "How were you able to control Punk?" "Because I have a friend, whom I met a long time ago. We practiced a lot together, and His main character is Karin, the same as Punk's." Well, this must be a daydream. Such a... such a wonderful thing could not happen in real life. I hoped any of my fellow players would beat Punk. Anyone. I had a relationship with Tokido for a longer time than with any other fellow player. We had constantly worked hard together. We had made up teams for many tournaments. We had been colleagues at a game arcade. I couldn't control my emotion. I had never got that emotional, watching other players' match. I had never that strongly hoped anyone would win. Tokido's winning at Evo 2017 made me realize how special Tokido was to me for the first time. I would've not been that impressed if any other player had won. I was that impressed because Tokido won. Congratulations on your winning at Evo. Well, although I've talked rhetorically, to tell the truth, I had not felt so strongly for Evo before. Maybe I unconsciously determined that I shouldn't feel strongly for any tournaments, as I went out and would go out to big tournaments home and abroad including Evo. Or, maybe just because I was perverse. But it's changed. Now that Evo is the tournament I most want to win of all the tournament. Because Tokido beat the monster called Punk. His winning is really special to me. To me continuously groping in the dark, that was like a streak of light... well, I'm embarrassed writing this haha. It was really great for him to realize everyone's expectation although he maybe didn't mind it. I can work even harder than before thanks to Tokido winning in that way. No, I think I have to. Tokido's attitude to wins changed my values about games 15 years ago. If I had not experienced that, I wouldn't be the way I am. And he changed and saved me again this year. A favor of games should be returned through games. I must be a man by rewarding this. And I never say this at other times, but I want to say here.